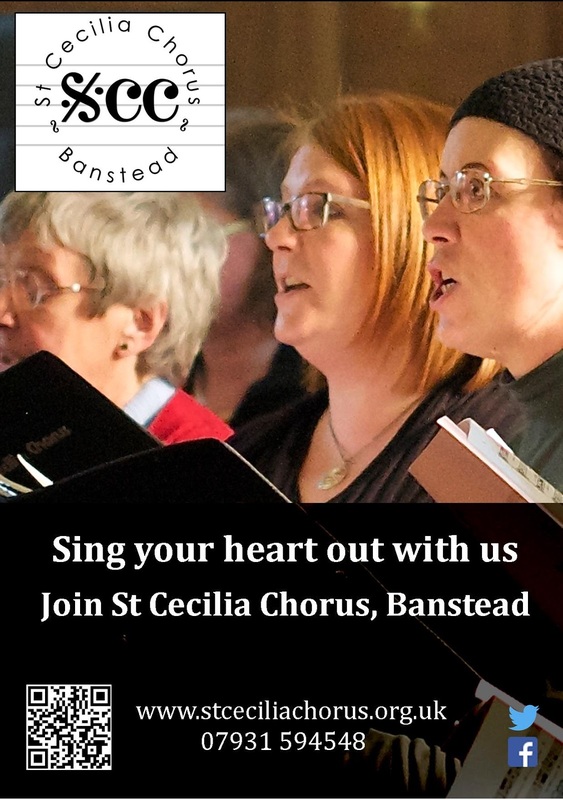 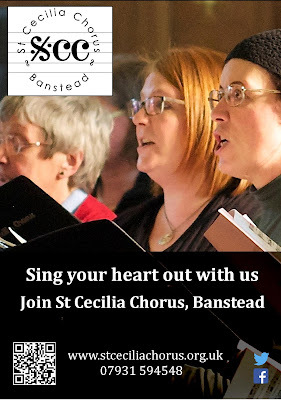 We've started up again after the summer so its a great time to join St Cecilia Chorus. 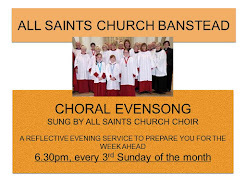 Rehearsals are on Thursdays from 7.45-9.45pm at Banstead Junior School. 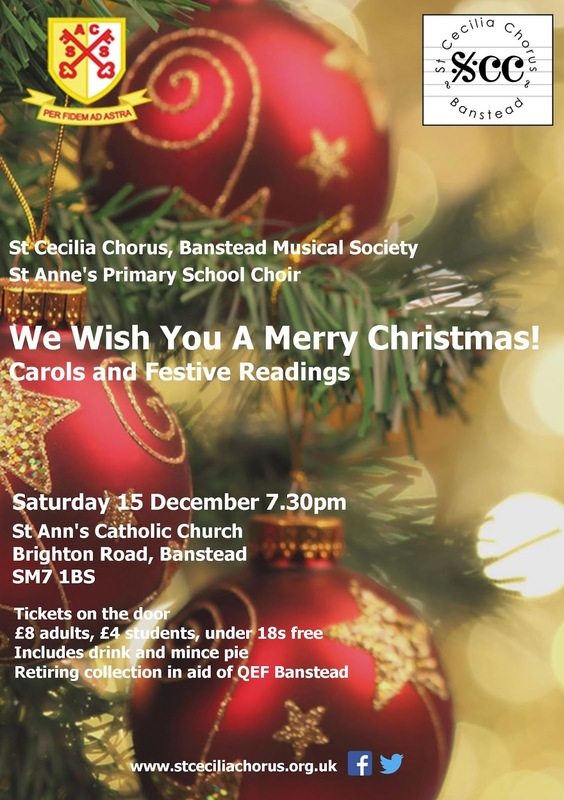 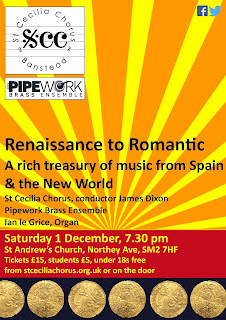 Our next concert is on Saturday 1 December and we're rehearsing music from Spain and the New World by Victoria, Guerrero and Casals along with Basque and Mexican songs. 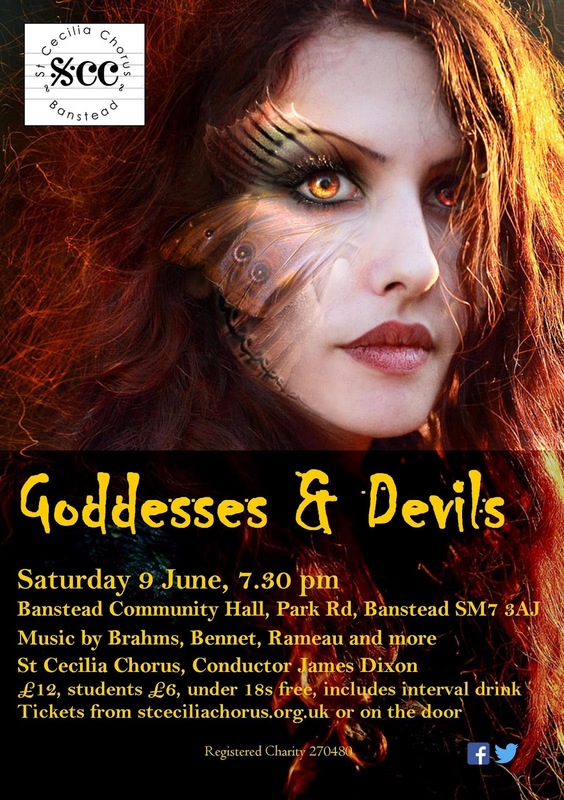 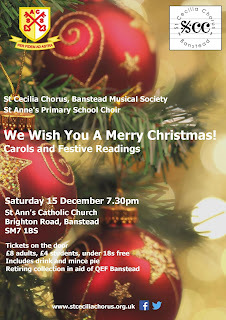 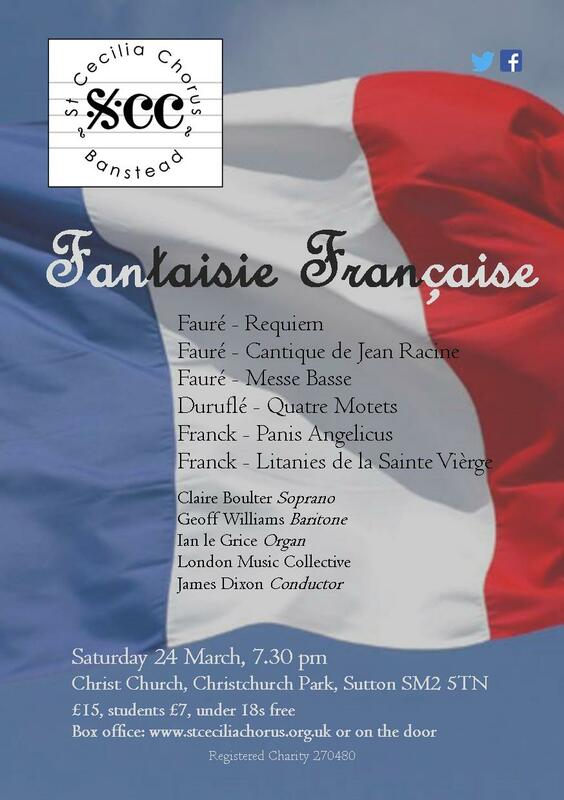 Read about all our forthcoming concerts.